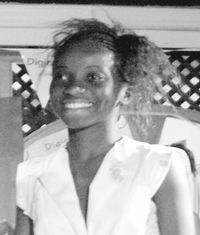 The young but extremely creative designs of 19-year-old Shernicia Myers would be on display in a Fashion Show dubbed “Divas in Colours” at Bobby’s Restaurant and Sports Bar on Bay Street tomorrow night. Myers who has been sewing work clothes for her teachers since she was nine years old, said that this is her third big show and she hopes to amaze her audience. The Georgetown resident, who described her pieces as practical yet stylish said that she loves designing clothes that could be worn on the runway as well as streets.